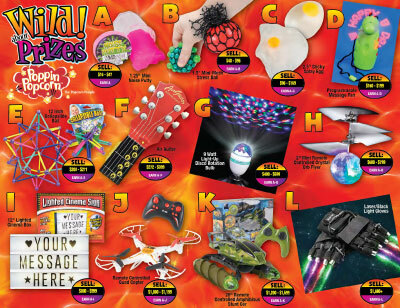 Wild About Prizes has the same great prizes offered in Crazy About Prizes. The prize levels in Wild About Prizes are based on a dollar amount rather than an item number. We offer this brochure to be used with lower-priced items such as sub sandwiches or one of our $5 and $6 brochures. You can get the same amazing prizes and students can earn all 12 levels with even our lower priced items. Your group/organization will see fantastic results when offering a cumulative prize program with any of our great fundraising brochures. Remember to have “FUN” and Keep it Safe in fundraising.